A group of farmworkers staged a five-day hunger strike in March to protest the fast food chain Wendy’s. The protesters claim the restaurant cut its ties to Florida farms in favor of Mexican labor in order to sidestep worker protections against sexual misconduct, and are calling upon Wendy’s to meet industry standards in the time of #MeToo, when all eyes are on sexual abuse and harassment. The issue at hand is that Wendy’s has turned down several requests to join the Fair Food Program (FFP), which partners together workers, growers, and food companies to ensure safe working conditions for farm laborers. The program was founded by the Coalition of Immokalee Workers (CIW), and many other fast food chains—including McDonald’s, Burger King, Taco Bell, KFC, and Subway—have already signed on to the program. 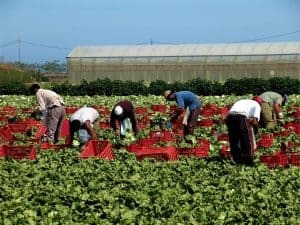 The CIW claims that when their workers attempted to pressure Wendy’s into joining the Fair Food Program, the restaurant cut its ties with all local tomato farms and moved their operations to Mexico, where the standards for worker protections are drastically lower. Wendy’s spokeswoman Heidi Schauer denied the protestors’ allegations, saying the Coalition of Immokalee Workers was spreading “false and misleading” information about the fast food chain as part of “their continuing effort to extract a financial commitment from us.” She also added that Wendy’s chose to stop buying tomatoes in Florida during winter months because the quality in Mexico was higher, not because the majority of growers in the state are now members of the FFP. Sexual abuse and harassment on the job should not be handled alone. The attorneys at Taylor & Ring can help you understand your rights and help you secure compensation for your suffering. Please call us today at 310.776.6390 or complete our contact form to schedule a consultation at our LA office.